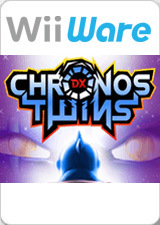 Chronos Twins DX was released in 2010 (WiiWare) and is a platform video game where the hook is controlling the character in two time periods simultaneously. Chronos Twins DX is a WiiWare remake of a GBA game that was released in EU years ago, but never really took off in North America. At the intro level an "EFB function not implemented" error occurs and the screen will flicker. Continue by pressing A to get to gameplay. The graph below charts the compatibility with Chronos Twins DX since Dolphin's 2.0 release, listing revisions only where a compatibility change occurred. 3.5-413 Windows XP AMD Athlon II X2 215 @ 3.56GHz NVIDIA GeForce 440 Game completed. Get 1 error at intro level (EFB function not implemented) if press A through flickering screen - you'll get to gameplay. Get 45-55FPS in game (music speed depends on speed of emulation). Try to use "FreeLook" (mouse right button) - get a very interesting perspective :) †.fl.l). This page was last edited on 12 March 2018, at 18:34.